The Prussian’s were defeated except for those who remained out of reach, and the Russian’s were in Poland waiting to strike. 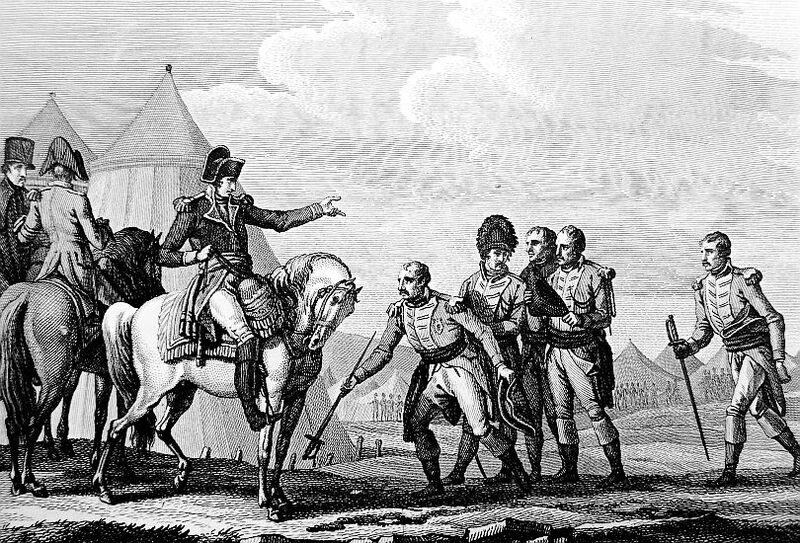 Napoleon needed his corps in position to meet the advancing Russians and starting issuing orders. Napoleon wanted to cross the Vistula and stock up on supplies, which would be scarce during these winter months. The French were already in rough shape after defeating the Prussians, and to make things worse, the weather turned the roads into a muddy mixture of sleet and snow. On the 18th of November, Lannes reached Thorn which was located next to the Vistula. The Prussians were also at Thorn under General Lestocq, and during the French advance burned the bridge. Lannes was unable to engage them without reinforcements and the Prussians were free to move out. On the 28th of November, Lannes was within thirty miles of Warsaw, and his corps set up camp. Lannes and his grenadiers were in terrible state with the rations virtually gone and bad weather. 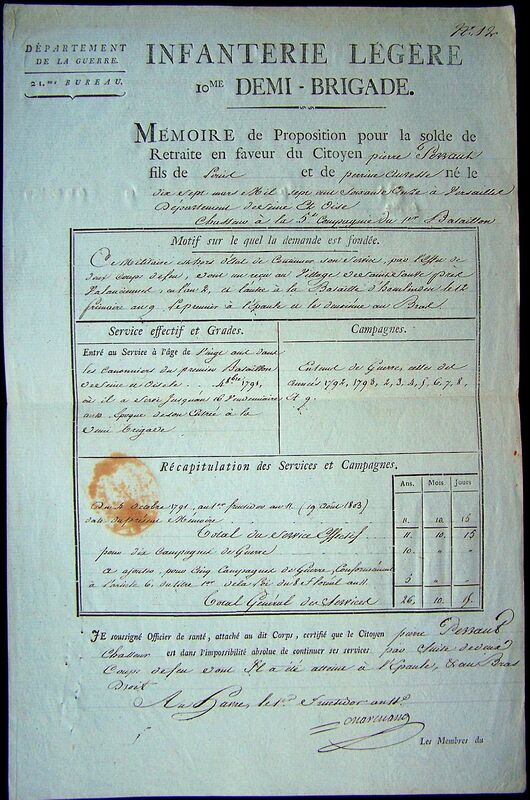 The army also had an outbreak of typhus, and Lannes was not immune to this outbreak. Lannes broke camp and marched to Praga just outside Warsaw on the 5th of December. 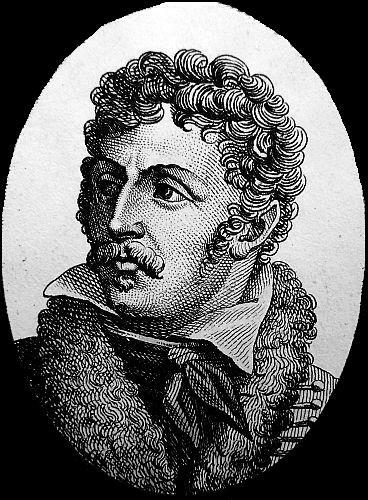 When Napoleon saw his miserable friend, he ordered Dr. Larrey to examine him. However a little typhus would not keep him from moving out after the Russians. Lannes marched to Pultusk which was held by General Benningsen and 45,000 Russians. He was vastly outnumbered but still went on the attack. After two hours of fighting in a heavy snow, the 5th Corps was on the verge of being annihilated. However, General Daultane of the French 3rd Corps, heard the sounds of cannon and marched to Pultusk. Daultane arrived in time to reinforce Lannes. General Benningsen would cease action and retreat out of Pultusk, because he did not know the actual strength of the newly arrived French force. 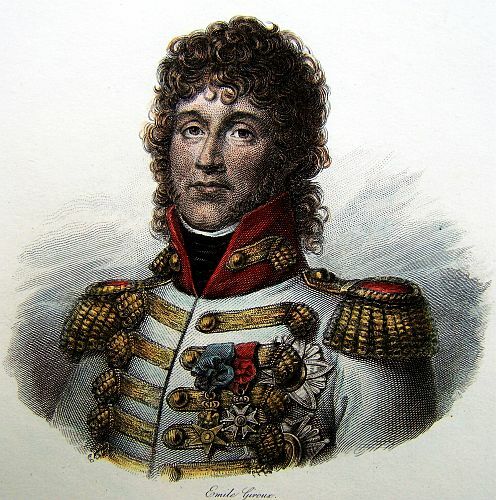 Lannes was ordered back to Warsaw where Napoleon ordered him to march on Ostrolenka and attack General Essen. The 5th Corps marched out, but only after two days, Lannes became seriously ill and returned to Warsaw. 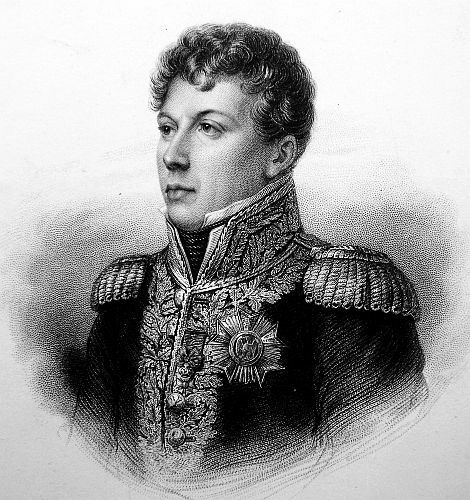 Napoleon replaced Lannes with Savary and the campaign continued without him. During the battle of Eylau, Lannes was in Warsaw fighting for his life. His illness kept him locked up in a Polish palace with the company of Dr. Larrey. Although Larrey tried just about everything in his power, their was not much he could do but prescribe rest. 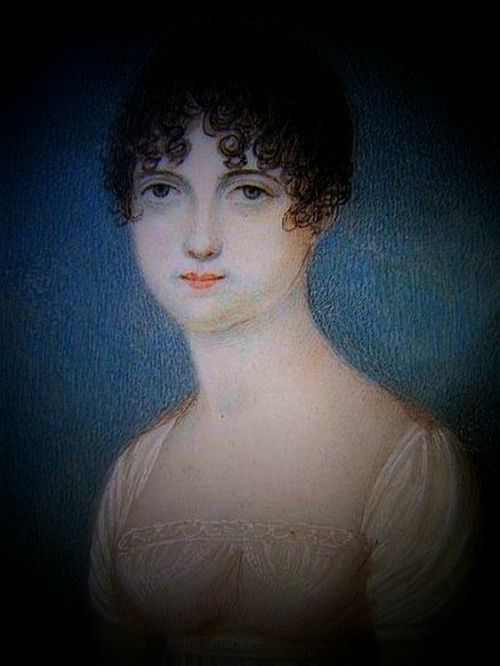 Madame Lannes would join her husband but for only two weeks. Her visit consisted of him complaining while she listened. I imagine that his attitude cut the visit short. The battle of Eylau would not conclude the campaign but send both parties into winter quarters. The EMPEROR left Berlin at two O’clock in the afternoon of the 26th, and arrived at Custrin on the same evening about six. On the 26th, he was at Mezeritz; and on the 27th, at ten o’clock at night, he arrived at Posen. The next day his MAJESTY gave audience to the various States of the Poles. Marshal DUROC continued his journey to Osterode, where he found the King of PRUSSIA, who declared to him, ‘that a part of his States in the possession of the Russians; that he was dependent upon them; consequently he could not ratify the armistice which had been concluded by his Envoy, because it was not in power to fulfill the stipulated conditions.’ The Grand Duke of BERG, with a part of the cavalry of the Reserve, and the corps under Marshals DAVOUST, LANNES, and AUGEREAU, have entered Warsaw. 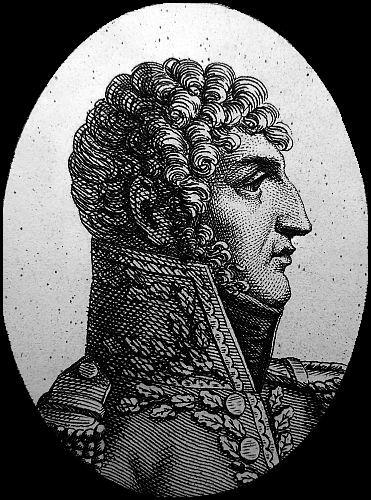 The Russian General BENNINGSEN, who occupied the place of the approach of the French, and that they intended to give him battle. Prince JEROME, with a corps of Bavarians, is at Kalitsch. All the rest of the army has arrived at Posen. Marshal MORTIER, after taking possession of the Hanse towns, proceeded towards Anclam, Restock, and Swedish Pomerania. The surrender of Hameln was marked by some particular circumstances. Besides the garrison, it seems that after the battle of the 14th, some Prussian battalions had taken refuge there. Disorder reigned among this numerous garrison. The Officers were exasperated against the Generals, and the soldiers against the officers. Scarcely was the capitulation signed, when General SAVARY received a letter from the Commandant, General VAN SCHOLER, which he very properly answered. In the mean while the garrison was in a state of insurrection, and the first act of the mutineers was to break open the magazines where the brandy was deposited, and with which they were soon intoxicated. In consequence of the situation, they soon began to fire upon each other in the streets–soldiers, citizens and officers, peel-meel, altogether. Disorder was at its height–General VAN SCHOLER sent courier after courier to General SAVARY, to request him to take possession of the place, even before the appointed time. To this the General consented; advanced, and entered the place through a shower of bullets. He drove all the soldiers of the garrison through one of the gates into a neighbouring meadow where he assembled the Officers, and gave them to understand that this behaviour was owing to their relaxed discipline. He then gave them a cartel to sign, and restored order in the place. It is thought several citizens lost their lives in this confusion. The Russian General BENNINGSEN had the command of an army which was estimated at 60,000 men. At first he intended to cover Warsaw; but he took a lesson from the intelligence of the occurrences which had taken place in Prussia, and determined to retreat towards the Russian Frontiers. Without having been compelled almost to fight a single battle, the French entered Warsaw, passed the Vistula, and occupied Praga. In the mean time, Field Marshal KAMENSKY joined the Russian army, just at the moment when BENNINGSEN’S Corps formed a junction with that under BUXHOVEDEN. He was indignant at the retreat of the Russians, conceiving that it tended to sully the honour of his country’s arms, and he accordingly made a movement in advance. Prussia remonstrated with the most earnest importunity, and complained, that after all the promises of support made to her, she was abandoned; representing that the way to Berlin was not by Grodno, Olita, or Brzsc; that her subjects had begun to abate in their zeal for their Sovereign; and that the habit of beholding the throne of Berlin in the possession of the French, was dangerous to him and favourable to the enemy. The Russians not only ceased their retrograde movement, but they again began to advance. On the 5th of December, General BENNINGSEN moved forward his head quarters to Pultusk. The orders issued were to prevent the French from passing the Narew, to retake Praga, and to occupy the banks of the Vistula, until the moment when more important offensive operations could be adopted. The junction of Generals KAMENSKOY, BUXHOVEDEN, and BENNINGSEN, was celebrated at the Palace of Sierock with rejoicings and illuminations, which were descried from the steeples of Warsaw. Nevertheless, at the moment when the enemy were cheering themselves with festivals, the Narew was passed. Eight hundred Frenchmen, having suddenly crossed that river at its junction with the Ukra, entrenched themselves the same night; and when the enemy appeared next morning, with the intentions of forcing them back into the river, they found themselves too late. The French were secure against every event. Being informed of this change in the enemy’s operations, the EMPEROR left Posen on the 16th. At the same moment he put his army in motion. Every report which had been received of the conversation of the Russians gave him to understand that they designed to resume offensive operations. 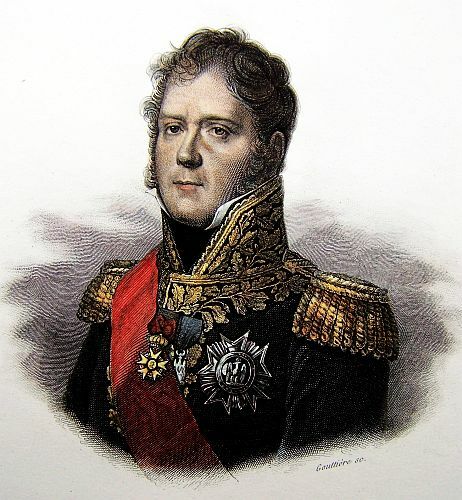 Marshal NEY had been for several days master of the Thorn. He united the different corps of his army at Gallup. 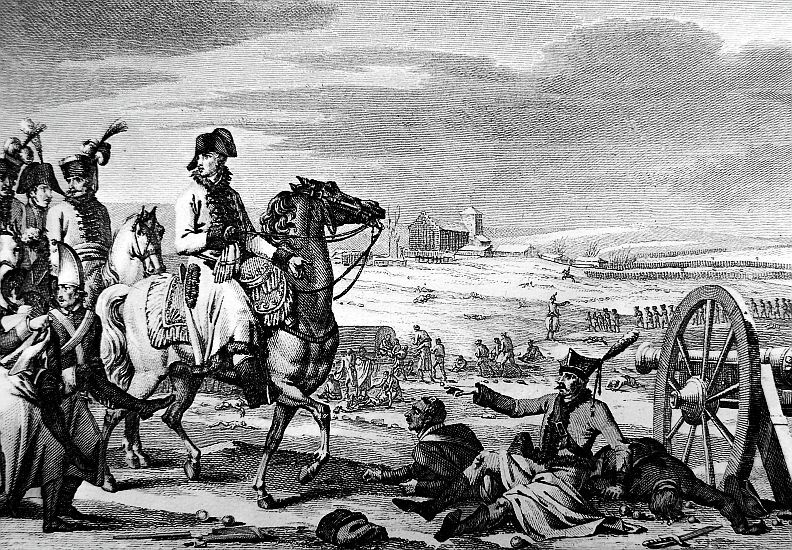 Marshal BESSIERES, with the second corps of the Cavalry of Reserve, consisting of the divisions of the Dragoons of SAHUC and GROUCHY, and the division of HAUPOULT’S Cuirassiers, marched from Thorn to proceed to Biezun. The Marshal Prince of PONTE-CORVO marched with his corps to support them. Marshal SOULT passed the Vistula opposite Plock; and Marshal AUGEREAU passed at Zackrocyn, where the utmost exertion was made to establish a bridge. The same activity was exerted in constructing that on the Narew. On the 22d, the bridge on the Narew was completed. All the reserve of cavalry instantly passed the Vistula at Praga, on their march to the Narew, where Marshal DAVOUST had collected the whole of his corps. At one o’clock in the morning of the 23d, the EMPEROR sat out from Warsaw, and passed the Narew at nine. On reconnoitring the Ukra, and the considerable intrenchments thrown up by the enemy, he ordered a bridge to be thrown across at the confluence of the Narew and Ukra. By the zeal of the General of Artillery, the bridge was completed in two hours. The division of MORAND immediately passed, with the intention of carrying the enemy’s entrenchments near the village of Czarnowo. 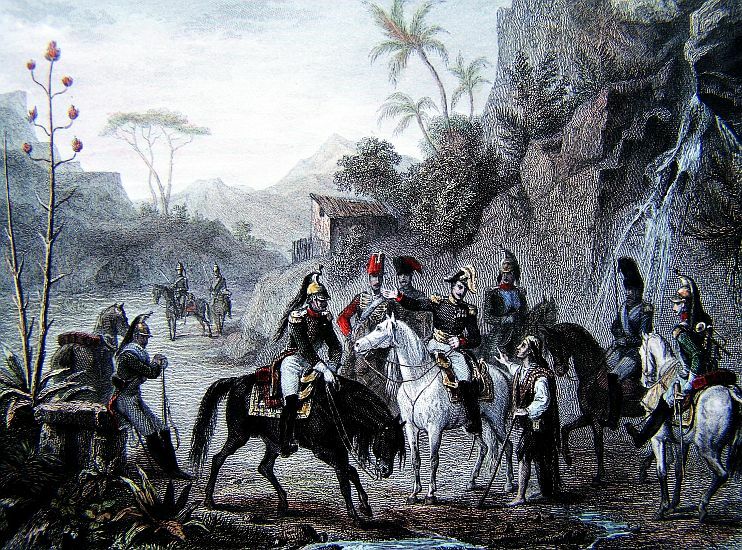 Brigadier General MARULAZ supported him with his light cavalry. General BEAUMONT’S division of Dragoons passed immediately after. A cannonade commenced at Czarnowo. 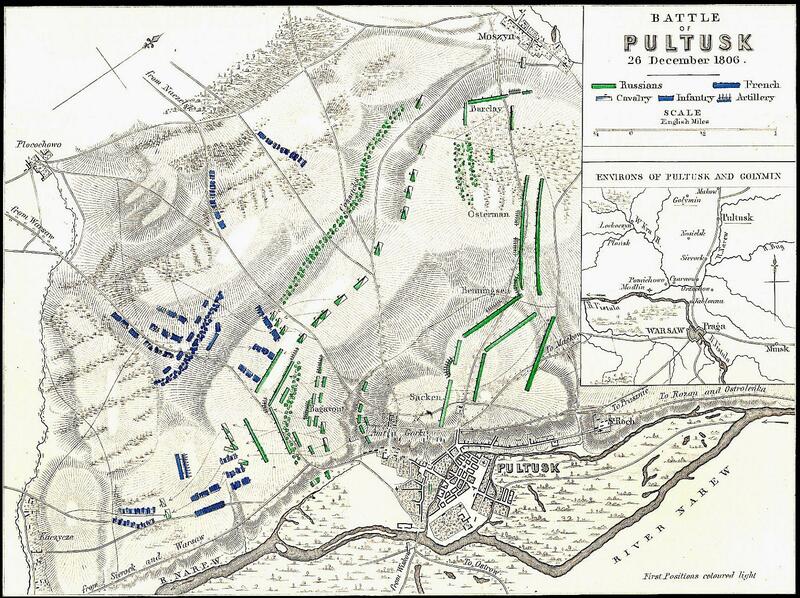 Marshal DAVOUST ordered General PETIT to pass over with the 12th of the line, and to carry the redoubts. Night came on. All the operations had to be carried on by moon light, and by two o’clock in the morning the object which the EMPEROR proposed to himself was fulfilled. All the batteries of the village of Czarnowo were carried. Those of the bridge were also occupied. Fifteen thousand men who defended them were routed, after an obstinate resistance. A few prisoners and six pieces of cannon remained in our hands. Several of the enemy’s Generals were wounded. On our side, we had few killed, but nearly 200 wounded. At the same time, at the other extremity of our line of operation, Marshal NEY totally routed the remains of the Prussian Army, and drove them, with very considerable loss, into the wood of Lauterburg. 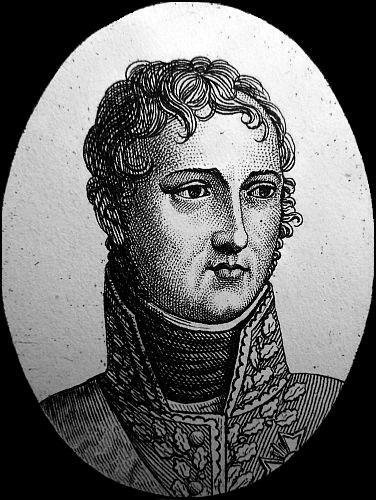 Marshal BESSIERES had a brilliant affair of cavalry, surrounded and made prisoners three squadrons of Hussars, and took several pieces of cannon. 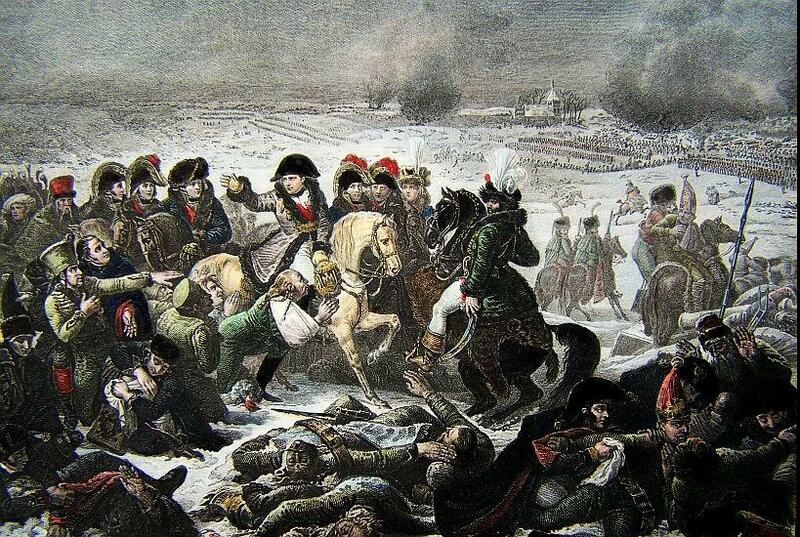 On the 24th the Reserve of Cavalry and the Corps of Marshal DAVOUST began their march to NASIELSK. The EMPEROR gave General RAPP the command of advanced guard. At the distance of a league from Nasielsk they fell in with the enemy’s advanced guard. 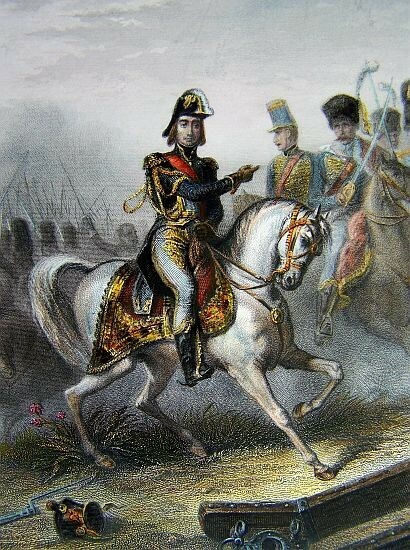 General LEMARROIS was detached, with two regiments of Dragoons, to turn an extensive wood and surround this advanced guard. This movement was executed with promptitude; but the enemy’s advanced guard finding that the French Army made no motion in advance, suspected some manoeuvre and did not keep their ground. Some charges, however, were made, in one of which Major UVAROW, Aide-de-Camp to the Emperor of RUSSIA, was made prisoner. Immediately after, a detachment reached the little town of Nasielsk. A brisk cannonade ensued. The enemy had a good position, his entrenchments being secured by morasses and woods. Marshal KAMENSKEY commanded in person, and thought he might pass the night in that position, to await the arrival of other columns to join him. Vain calculation! He was driven out of it, and compelled to retreat several leagues, through fighting all the way. A few Russian Generals were wounded, several Colonels made prisoners, and several pieces of cannon taken. 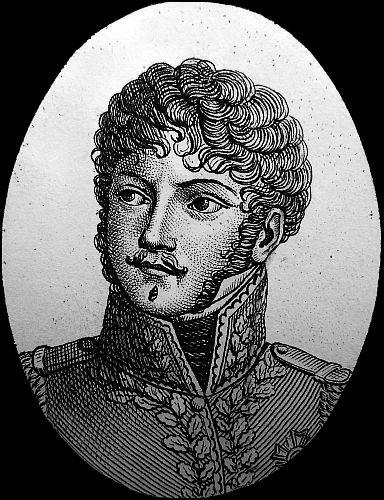 Colonel BEKLER, of the 8th Regiment of Dragoons, a brave officer, was mortally wounded. At the same moment General NANSOUTY, with KLEIN’S Division, and a brigade of light cavalry, totally routed, in front of Kurscomb, the Cossacks and enemy’s cavalry who had crossed the Ukra at that point, and then defended the passage of the river. The 7th corps of the army, commanded by Marshal AUGEREAU, effected its passage of the Ukra at Kurscomb, and routed the 15,000 men who defended it. The passage of the bridge was achieved in the most brilliant style. It was performed by the 14th of the line in close column, while the 16th light infantry kept up a brisk fire of musketry on the right bank. Scarcely had the 14th formed on the other side of the bridge, when they had to meet a charge of cavalry, which they sustained with the intrepidity habitual to the French infantry. But a pikeman unfortunately forced his way to the head of the line, and plunged his spike into the Colonel, who fell dead on the spot. He was a brave soldier, and worthy of commanding so brave a corps. A discharge of musketry by his regiment, in the very faces of the enemy, and which threw cavalry into the greatest disorder, was the first honour done to his memory. On the 25th the 3d corps, commanded by Marshal DAVOUST, marched for Tykocyn, whither the enemy retreated. 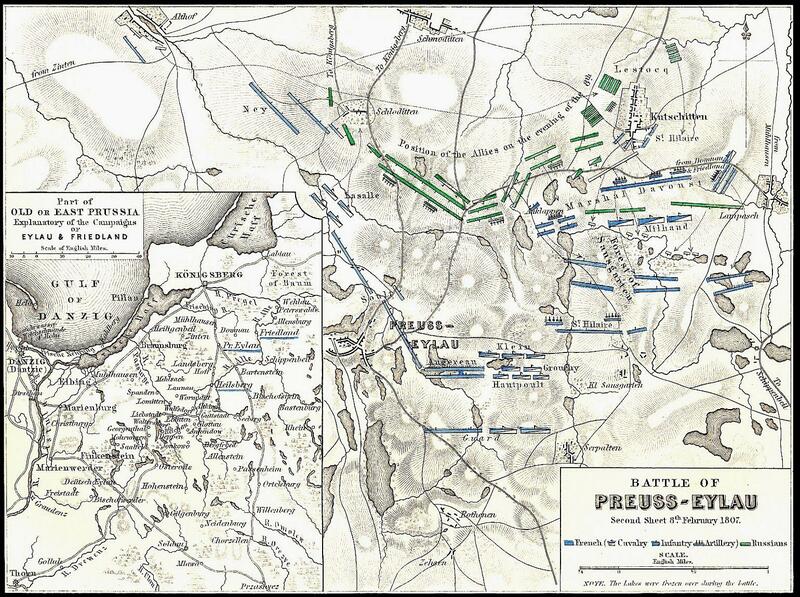 The 5th corps, commanded by Marshal LANNES, took the road to Pultask, with the division of BEKER’S Dragoons. The EMPEROR, with greater part of the cavalry of reserve, proceeded to Ciechano. General GARDANNE, whom the EMPEROR had sent with 30 of his Guards, to reconnoitre the enemy’s motions, reported that they were passing the river Sonna at Lopaczyn, and directing their march to Tycokzyn. The Grand Duke of BERG, who had been left ill at Warsaw, unable to resist the impatient desire which he felt to take a part in the events which were in preparation, set out from that city, and had just joined the EMPEROR. He took squadrons of the chasseurs of the Guards with him, to observe the motions of the enemy’s column. The brigades of the light cavalry of reserve, and the divisions of KLEIN and NANSOUTY, made all speed to join him. 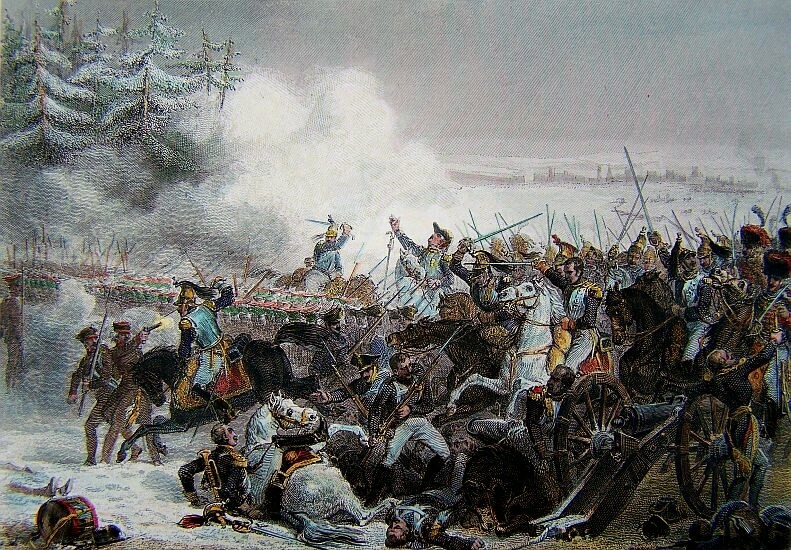 On reaching the bridge of Lopaczyn, he found it guarded by a regiment of Russian Hussars. 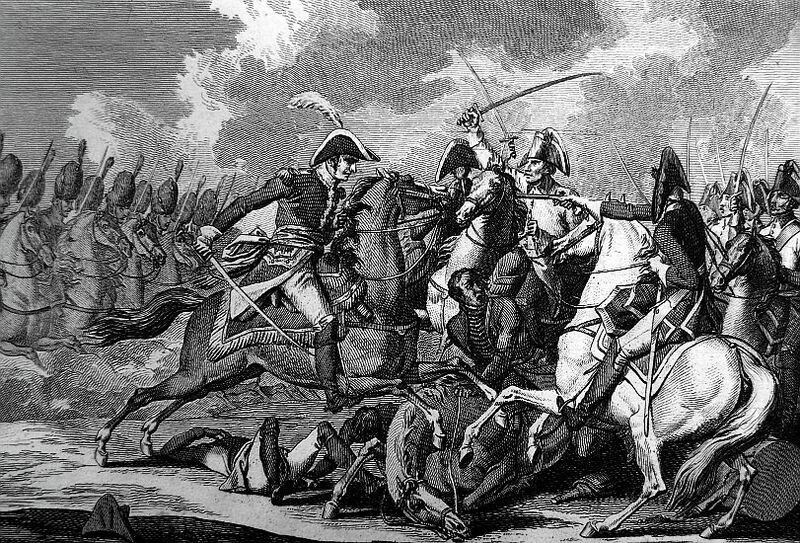 This regiment was instantly charged by the chasseurs of the Guards, and driven into the river, with no other loss on our side, than that of a quarter master being wounded. The half of this column had not yet passed; it was attempting a passage higher up the river. The GRAND DUKE made Colonel DAHLMANN charge it at the head of the chasseurs of the Guards, who took three pieces of cannon, after putting several squadrons to the rout. Whilst the column which the enemy had so imprudently thrown upon the right bank were endeavouring to gain the Narew, in order to reach Tycoczyn, their point of rendezvous, Tycoczyn was already occupied by Marshal DAVOUST, who took there 200 baggage carts, and a great number of sledges, which had been collected from all quarters. All the columns of the enemy are broken, and wandering about in a state of disorder difficult to imagine. The Russian General committed the error of posting his army so as to have the French army on his flank, separated, it is true, by the Narew, but having a bridge across that river. Had the season been favourable, one might have predicted that the Russian army could not have retreated, and that it would have been destroyed without a battle; but at a season when it is dark at four, and where it is not light until eight, the enemy we are pursuing has every chance of escape, particularly in a country naturally difficult and intersected with woods. Besides, the roads are four feet deep in mud, and the thaw continues. The artillery can no longer advance more than two leagues in a day. It is therefore easy from the embarrassing situation in which he is placed; but he will lose all his artillery, waggons, and baggage. In the evening of the 25th, the following was the position of the French army. The left, consisting of the corps under the Marshal Prince of PONTE-CORVO, and Marshal NEY and BESSIERES, were marching from Biezun on the road to Grodno. Marshal SOULT was entering Ciechanow. 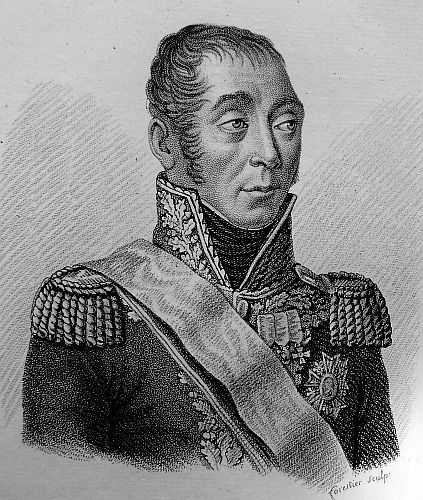 Marshal AUGEREAU was marching for Golymin and Pultusk. Marshal LANNES was at Pultusk. In these two days we made from fifteen to sixteen hundred prisoners, and took from twenty five to thirty pieces of cannon, three pair of colours, and one standard. The weather here is extraordinary. It is warmer than in the month of October at Paris; but it is rainy; and in a country where there are no regular roads, one is in the mud at every step. The affair of Czarnowo, that of Nasielsk and Kursomb, that of the cavalry and Lapoczyn, have been followed by that of Pultusk, and by the complete and precipitate retreat of the Russian army, which has finished the present year’s campaign. 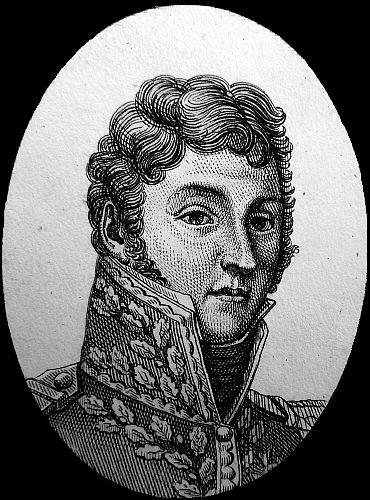 Marshal LANNES first arrived on the morning of the 26th, directly opposite to Pultusk, where, during the night, the whole of General BENNINGSEN’S corps had assembled. The Russian division, which had been defeated at Nasielsk, had arrived about two in the morning at the camp at Pultusk, with the third division of Marshal DAVOUST’S corps in close pursuit of them. 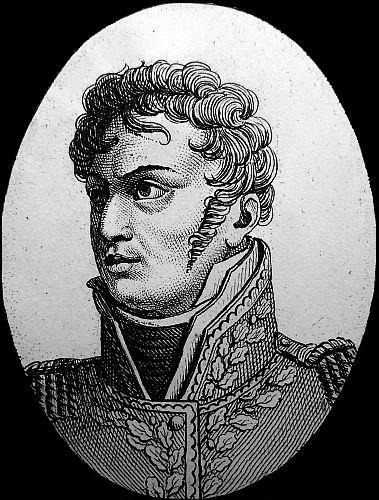 At ten o’clock, Marshal LANNES began the attack, having his first line composed of the division of SUCHET, the second of GAZAN’S, and that of GUDIN, of the third light corps under the command of General DAUTTANE, on his left wing. The engagement was obstinate; after various occurrences, the enemy was completely routed. The 17th regiment of light infantry, and the 34th, covered themselves with glory. General VEDEL and CLAPEREDE were wounded. General TREILHARD, Commandant of a brigade of dragoons under General BECKER, and also Colonel BARTHELEMY, of the 15th dragoons, were wounded with grape-shot. VOISIN, Aide-de-Camp to Marshal LANNES; and M.CURIAL, Aide-de-Camp to General SUCHET, were killed, and both have fallen with glory. Marshal LANNES likewise grazed by a ball. 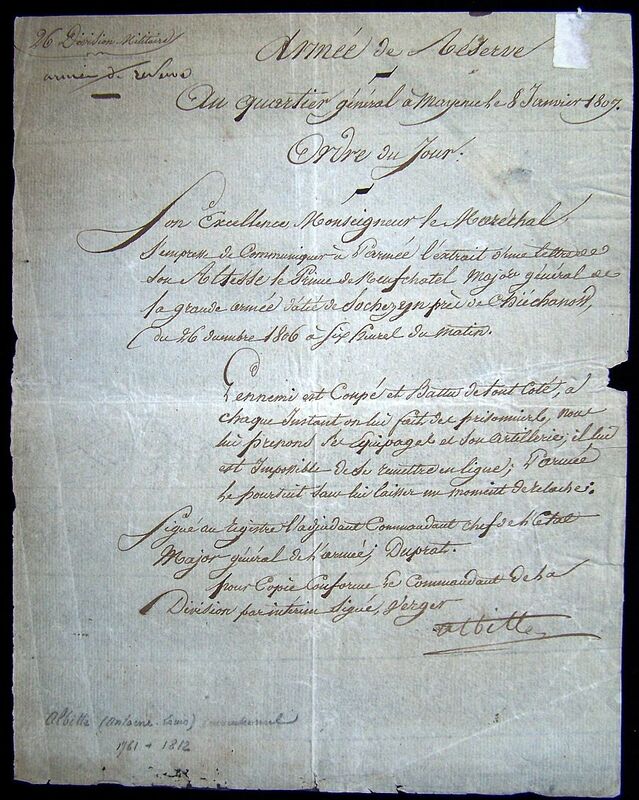 The fifth corps of the army gave a proof of every thing that could be expected from the superiority of the French infantry over that of other nations. 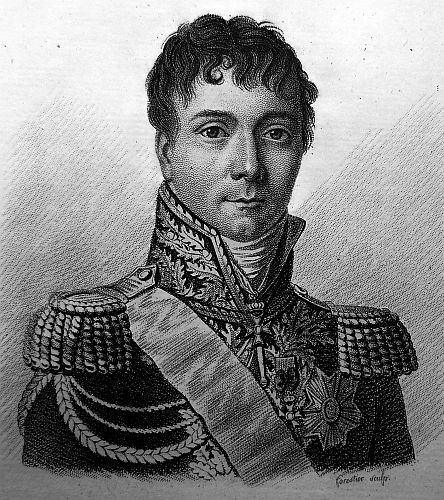 Marshal LANNES, though he had been for six days indisposed, persisted in following his corps. The 85th regiment sustained several charges from the enemy’s cavalry with great coolness and success. During the night the enemy beat a retreat, and reached Ostrolenka. 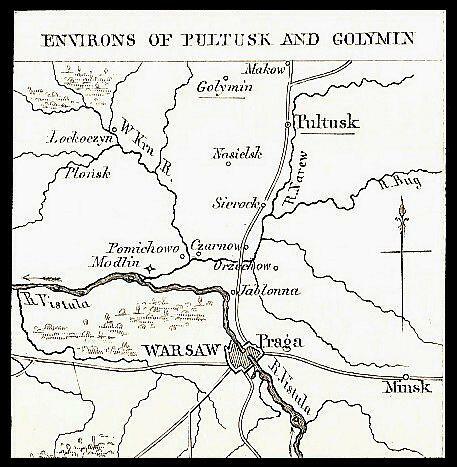 While General BENNINGSEN’S corps was beaten at Pultusk, that of General BUXHOWDEN assembled at Golymin about noon. The division of PANIN, belonging to this corps, which had been attacked the evening before by the Grand Duke of BERG, and another division already beaten at Nasielsk, arrived by different routes at the camp of Golymin. Marshal DAVOUST, who pursued the enemy from Nasielsk, came up with them, charged them, and took possession of a wood near the camp at Golymin. 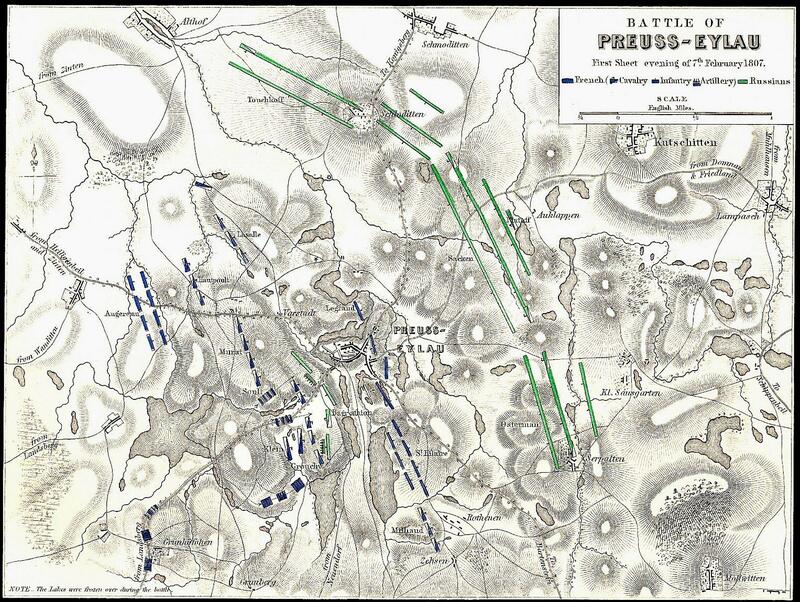 At the same time, General AUGEREAU arriving from Golazyma, took the enemy flank. The General of Brigade LAPISSE, with the 16th light infantry, carried with the bayonet a village which served for a point of support to the enemy. The division of HENDELET formed in line, and advanced against the enemy, at three o’clock in the afternoon: the fire was extremely hot. The Grand Duke of BERG made several successful charges, in which KLEIN’S division of dragoons distinguished themselves. Night coming on too soon, the battle continued till eleven o’clock, when the enemy retreated in disorder, leaving behind his artillery, his baggage, almost all his knap-sacks, and a number of dead. All the enemy’s columns retreated towards Ostrolenka. 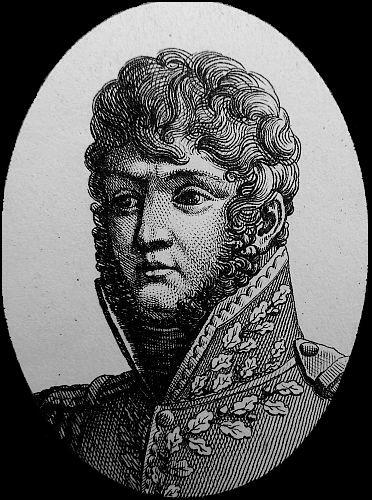 General FENEROILLES, Commandant of a brigade of dragoons, was killed by a musket shot. The intrepid General RAPP, the EMPEROR’S Aide-de-Camp, was wounded by a musket shot at the head of his division of dragoons. Colonel SEMELE, of the brave 24th regiment of the line, was wounded. 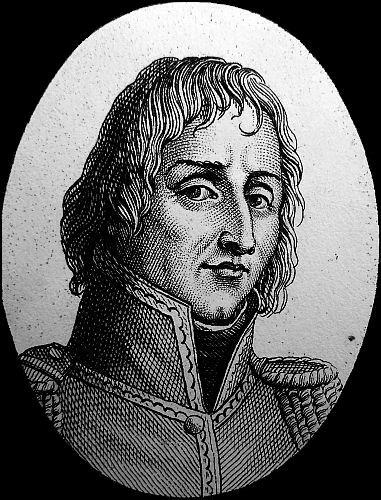 Marshal AUGEREAU had a horse shot under him. In the mean time, Marshal SOULT with his corps had arrived at Masati, two miles from Matzon; but the horrible sloughs, consequences of rain and thaw, arrested his march, and saved the Russian army, of which not a man would have otherwise escaped. The destinies of the army of General BENNINGSEN and that of BUXHOWDEN, seemed as if they would have been completed on this side the little river d’Orege; but every plan was thwarted by the effect of the thaw, and that to such a degree, that the artillery could not move more than three leagues in two days. The Russian army lost 80 pieces of cannon, all its ammunition waggons, more than 1,200 baggage-carts, and 12,000 men in killed, wounded, and prisoners. The movements of the French and Russian columns will furnish a subject of real curiosity for militarymen, when traced upon a map. They will then see that the whole Russian army was on the point of being annihilated in the course of a few days, and that in consequence of a single oversight in the Russian General. We have lost 800 men killed, and 2,000 wounded. Masters of the greatest part of the Russian artillery, of all its positions, and having repulsed the enemy near 40 leagues, the EMPEROR has ordered the army into winter quarters. Before this expedition, the Russian Officers say they had lost 150,000 men, now they say they had but half that number. Which is to be believed, the Russian Officers before, or the Russian Officers after the battle? Persia and Porte have declared war against Russia. MICHELSON attacks the Porte. These two great empires, neighbors to the Russians, are kept in continual anxiety by the fallacious policy of the Cabinet of St. Petersburgh, which for ten years past has acted by the them in same manner as it conducted itself for fifty years, with respect to Poland. 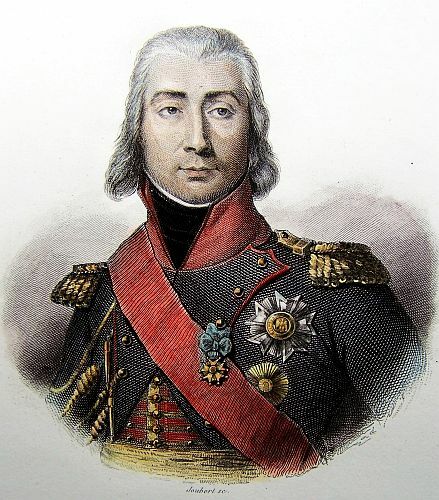 M. PHILIPPE SEGUR, Camp Marshal to the EMPEROR, on his way to Nasielsk, fell into an ambuscade of Cossacks placed in a wooden house behind that place. He killed two of them with his own hands, but was made prisoner. The EMPEROR claimed him immediately, but the Russian General had already sent him off to St. Petersburgh. General CORBINEAU, Aide-de-Camp to the EMPEROR, had set out from Pultusk, in pursuit of the enemy, with three regiments of Light Cavalry. After occupying Brok, he reached Ostrowiel, on the 1st inst. On his march he picked up 400 Russian soldiers, several Officers, and a great quantity of Baggage waggons. 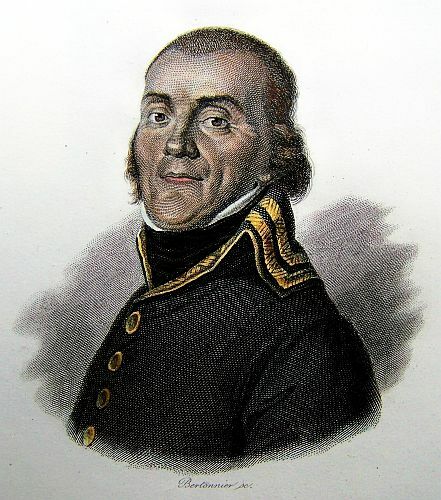 Marshal SOULT, with three brigades of light horse, part of LASALLE’S division, has taken position along the banks of the little river Orcye, in order to cover the cantonments of the army. Marshal NEY, the Prince of PONTE-CORVO, and Marshal BESSIERES, have cantoned their troops on the left bank. The light corps under Marshal SOULT, DAVOUST, and LANNES, continue to occupy Pultusk and the banks of the Bug. The enemy’s army continues to retreat. The EMPEROR arrived at Warsaw on the 2d of January. We have had snow and frost for two days in continuance; but it has begun again to thaw, and the roads which were becoming some what better, are now as had as before. Prince BORGHESE has incessantly been at the head of the 1st regiment of Carbineers, which he commands. The brave Carbineers and Cuirassiers testified the most anxious desire to meet the enemy; but the divisions of Dragoons which came first into action, by carrying everything before them, left the former no opportunity of attacking the enemy. His MAJESTY has appointed General LARIBOISSIERE a General of Division, and given him the command of the Artillery of the Guards. He is an Officer of the highest merit. The troops of the Grand Duke of WURTZBURG compose the garrison of the city of Berlin. They consist of two regiments, which make an excellent appearance. The Corps under Prince JEROME continues to besiege Breslau. That beautiful city is in ashes. A disposition to wait the course of events, and the hope of being relieved by the Russians, have prevented the garrison from surrendering, but the siege makes progress. The Bavarian and Wirtemberg troops have merited the praise of Prince JEROME, and the esteem of the French army. The Governor of Silesia had collected the garrisons of the fortresses not yet blockaded, and formed out of them an army of 8,000 men, with which force he had commenced his march to interrupt the operations of the army besieging Breslau. Against this force General HEDOUVILLE, the Chief of Prince JEROME’S Staff, detached General MONTBRUN, Commandant of the Wurtembergers, and General MINUCCI, Commandant of the Bavarians. They came up with the Prussians at Strenien, put them to flight, and took 400 men, 600 horses, and several convoys of provisions, which the enemy intended to send into the fortress. Major HIRSCHER, at the head of 150 of BENNINGSEN’S Light Horse, attacked two Prussian squadron’s and completely routed them, making 36 of them prisoners. His MAJESTY has ordered a part of the colours taken at Glogau, to be sent to King of WIRTEMBERG, whose troops made themselves masters of that important fortress. His MAJESTY desirous of rewarding the good conduct of these troops, has appropriated for the Wirtemberg corps, ten of the insignia of the Legion of Honour. Letters from Warsaw, on the 3d, say, that Marshal LANNES was wounded in the shoulder by a musket ball in the last engagement. 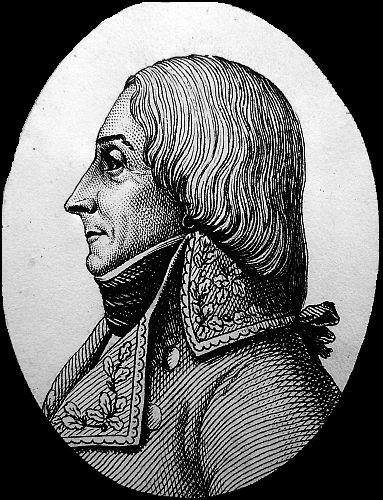 Marshal AUGEREAU had a horse shot under him, as had also General TREILHARD, who was wounded along with General WORLEIOTT. I have the happiness most respectfully to acquaint your Majesty, that I have succeeded in repulsing the enemy, who yesterday morning attacked me on every point near Pultusk. The main attack was made by General SOUCHER, at the head of 15,000 men, on my left wing, near Farmgurka, in the view of getting possession of that town. I had only 5,000 men, under General BAGONAUT, to oppose the enemy on that side. They made a brave defense till I sent a reinforcement of three battalions of reserve, and afterwards three more under General TOLSTOI, by which means the right wing of the French was totally defeated. The second attack, equally brisk, was made on my right flank, where General BARKELAY DE TOLLY was posted with the van-guard. This wing extended, on the road towards Stzegocyn, to a small wood, where I placed a covered battery, which the enemy attempted to turn. 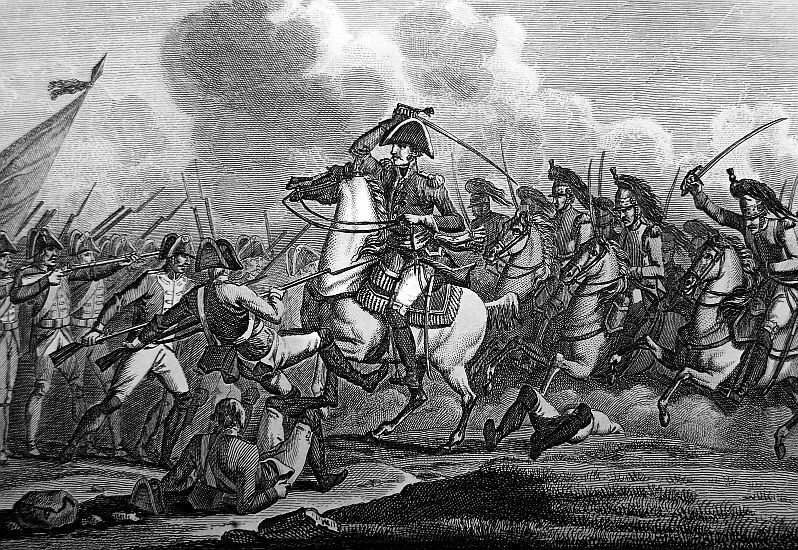 I therefore made a movement backwards on their right, which succeeded so well, that I not only frustrated the attempt of the enemy, but was also so fortunate as to reinforce General BARKELAY DE TOLLY with three battalions, ten squadrons, and one battery, to repulse the enemy; on which the enemy retreated from the wood. The attack commenced at eleven in the morning, and lasted till dark. From the relation of all prisoners, I was opposed by Messrs. MURAT, DAVOUST, and LANNES, with an army exceeding 50,000 men. They have lost about 5,000, according to their own account. All my troops fought with the greatest bravery. The following Generals particularly distinguished themselves: OSTERMAN, TOLSTOI, BARKELAY DE TOLLY, Prince DOLGOROUKY, BAGONAUT, SOMMOFF, and SITOFF of the infantry; also Colonels DAVIDDOFPSKY and GONDOFF, &c. Field Marshal KAMENSKOI departed from Pultusk for Ostrolenka on the morning of the 26th December, previous to the attack, and again gave up the whole command to me, so that I have had the good fortune to command alone in this affair, and to beat the enemy. I have to lament, that the long expected succour of General BUXHOVEN had not arrived, although he was only two German miles distant, and even halted half way. I should otherwise have been able to follow up my victory. I have further to lament, that the total want of provisions and forage obliges me to retire with my corps to Rozaw; the enemy has not molested me in my retreat. On the 29th December the annexed dispatch of General BENNIGSEN was received by the king of PRUSSIA at Koingsberg. It was immediately published and posted up throughout the town, where it excited the greatest transports of joy; the KING was publicly complimented on the occasion; but on the 31st, in the evening, intelligence was given by some Prussian Officers, corroborated by other advices from the country, of the real state of things. Sadness and consternation were now so much the greater, as every one had abandoned himself of joy. It was then resolved to evacuate Koningsburg, and preparations were immediately made for that purpose. The treasure and most valuable property was immediately sent off to Memel. The QUEEN, who was still ill, embarked on the 3d January for that town; the KING set out from thence on the 6th; the remains of General LESTOCQ’S division also departed for the same, after leaving at Koningsburg two battalions and a company of Invalids. The King of PRUSSIA’S Ministry is composed in the following manner: General RUCHEL, still ill of the wound he received at the battle of Jena, is appointed Minister of War. The President SAGBARTHE is appointed Minister of Interior. The present forces of the Prussian Monarchy are as follow: The KING is attended by 1,500 troops, both foot and horse. General LESTOCQ has scarcely 5,000 men, comprising the two battalions left at Konigsburg with the company of Invalids. Lieutenant General HAMBURGER commands Dantzic, where he has a garrison of 6000 men. The inhabitants have been disarmed; and it has been intimated to them, that in case of alarm the troops will fire on all those who shall quit their houses. General GUZADON commands at Colberg, with 1,800 men. Lieutenant General COUBIERE ia at Grandentz with 3,000 men. The French troops are in motion to surround and besiege these fortresses. A certain number of recruits whom the King of PRUSSIA had caused to be assembled, and who were neither clothed nor armed, have been disbanded, because there was no method of keeping them in order. Two or three English Officers were at Koningsburg, and caused hopes to be entertained of the arrival of the English army. The Prince of PLESS has, in Silesia, 12 or 15,000 men, shut up in the fortress of Brieg, Neis, Schweidnitz, and Kossel, which the Prince JEROME has caused to be invested. We shall be silent concerning the ridiculous speech of General BENNINGSEN: we shall only remark that it appears to contain something inconceivable. The General seems to accuse his colleague General BUXHOWDEN. He says that he was at Mokow. How could he be ignorant that BUXHOWDEN was gone to Golymin, where he was beaten? He pretended to have gained a victory, and nevertheless he was in full retreat at ten at night, and this retreat was so hasty that he abandoned his wounded. Let him shew us a single piece of cannon, a single French standard, a single prisoner, but twelve or fifteen men who might have been taken here and there on the rear of the army, while we can shew him 6,000 prisoners, two standards which he lost near Pultusk, and 3,000 wounded, whom he abandoned in his flight. 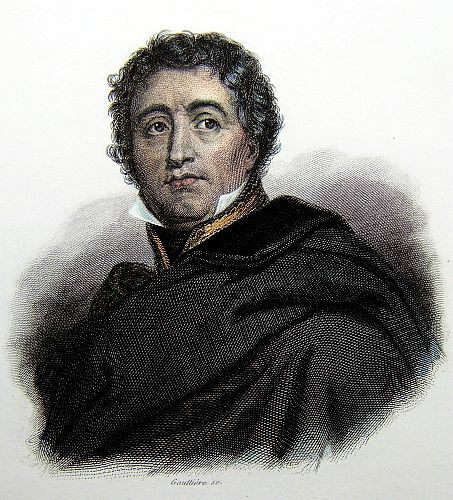 Should General BUXHOWDEN have given, on his side, as true a relation of the engagement of Golymin, it will be evident that the French army was beaten, and that in consequence of its defeat, it took possession of 100 pieces of ordnance and 1,600 baggage waggons; of all the hospitals of the Prussian army; of all its wounded; and of the important position of Sieroch, Pultusk, Ostrolenka, and obliged the enemy to fall back eighty leagues. With regard to the reference attempted to be drawn by General BENNINGSEN from his not having been pursued, it is sufficient to observe, that good care was taken not to pursue him, because our troops outstretched him by two days march, and that, but for the bad roads, which hindered Marshal SOULT from following this movement, the Russian General would have found French at Ostrolenka. It remains for us only to seek what could be the intention of such a relation. It is the same, no doubt, as that the Russians proposed to themselves at the battle of Austerlitz. 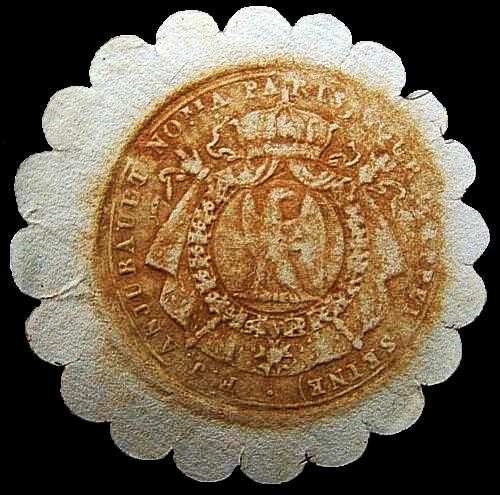 It is the same, no doubt, as that of the Ukases, by which the Emperor ALEXANDER declined accepting the grand insignia, because he said he had not commanded at that battle, and accepted the small insignia for the success he had obtained in it, although under the command of the Emperor of AUSTRIA. He says, furthermore, he had the Grand Duke of BERG, and Marshal DAVOUST against him, while in fact he had only to cope with the division of SUCHET and the corps of Marshal LANNES; the 17th Regiment of light infantry, the 34th of the line, the 64th and the 88th are the only regiments who fought against him. He must have reflected very little on the position of Pultusk, to suppose that the French would take possession of that town, commanded within pistol shot. There is, however, one point of view under which the relation of General BENNINGSEN may be justified. No doubt but apprehensions were entertained of the effect which the truth might produce throughout Prussia and Russian Poland, which the enemy were to cross, had it reached those countries previous to his being enabled to place his hospitals and scattered detachments safe from all insult. These relations, so evidently ridiculous, may still produce the advantage for the Russians of delaying for some days the ardour which faithful recitals will not fail to inspire the Turks with; and there are circumstances in which a few days give a delay of some all wiles defeat their end, and that in all things simplicity and truth are the best policy. 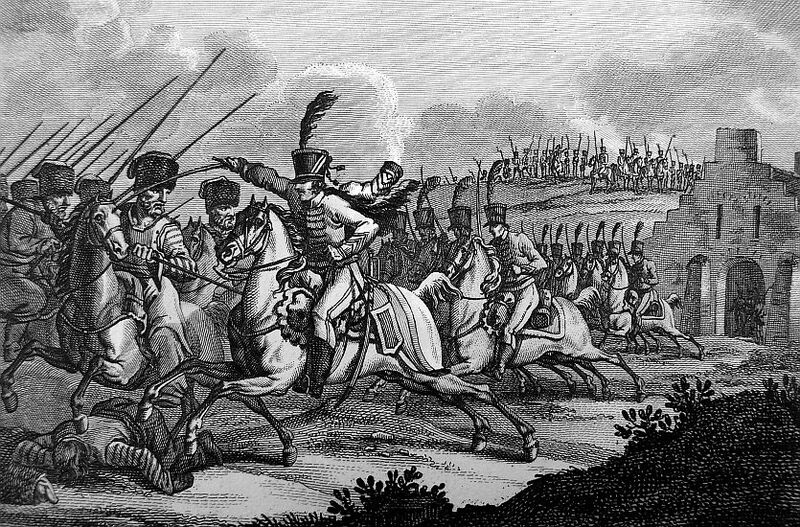 After the battle of Mohringen, in which the Russian advanced guard was defeated, the enemy retreated upon Liebstadt; but the corps of General ESSEN, which was at first destined for Moldavia, and also a number of fresh regiments from different parts of the Russian Empire, having joined the Russian armin in Poland, the enemy again, so early as the 27th, advanced in great force, with the design of removing the theatre of war to Lower Vistula. The EMPEROR being informed of these events ordered the Prince of PONTE-CORVO to retreat, and also to favour the offensive operations of the enemy, in order to draw them towards the Lower Vistula. His MAJESTY at the same time ordered the whole army to break up from winter quarters. The 5th Corps, commanded by General SAVARY because Marshal LANNES was ill, reunited at Brock on the 31st to keep at bay the corps of General ESSEN contained in the Upper Bug. He also left Warsaw himself, and arrived on the evening of the 31st at Willenberg, whither the Grand Duke of BERG had already collected all the cavalry. On the 1st of February we began to advance. At Passenheim we fell in with the enemy, who constantly assumed the offensive; but here the GRAND DUKE fell upon them with several columns of cavalry, and entered the town with sword in hand. By three in the morning the enemy was on the Lower Vistula, which he had determined to pass, but where he now found his left wing surrounded. The Russians, however, formed themselves in order of battle, and now commenced the battle of Bergfried, where the EMPEROR attacked the enemy with the corps of NEY, AUGEREAU, and SOULT, and his Life Guards as a corps of reserve. The contest was for a long time severe: at last, however, the enemy having been completely defeated, on several points, and having lost four pieces of cannon and 1,700 prisoners, abandoned all his positions, and night put an end to the fight. On the following day the action was resumed; but the enemy had employed the night in retreating, and had left behind only the rear guard, which was endeavouring to follow, and which was fiercely pursued, fighting all the time, for six hours. The difficulty of the ground prevented our cavalry from doing the enemy much injury. On the 5th, the whole French army was again in motion, advancing, and the enemy constantly retreating, except one column, which was still on the side of the little river Alle. 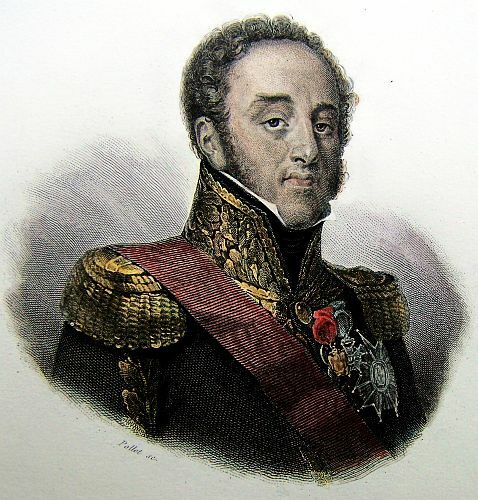 The EMPEROR there upon ordered Marshals SOULT and DAVOUST, and the Grand Duke of BERG, to follow the enemy’s main body, and Marshal NEY, joined by a division of dragoons, to attack the cut off column. While, in consequence of these orders, the Grand Duke of WALERDORFF, after some attacks, compelled 8,000 or 9,000 Russian cavalry to retreat, NEY came up with the head of the before mentioned column, which, finding itself surrounded, for a moment adopted the bold resolution of cutting its way through our corps, but found death and destruction on the points of our bayonets. Defeated and thrown into confusion, the enemy abandoned their cannon, colours, and baggage, and the other part of the column, on learning the fate of the advanced guard, retreated. In all these actions our loss was very little, not more than 80 or 100 killed, and from 3 to 400 wounded. The loss of the enemy consisted of sixteen pieces of cannon, several thousand prisoners, and a great number of killed and wounded. 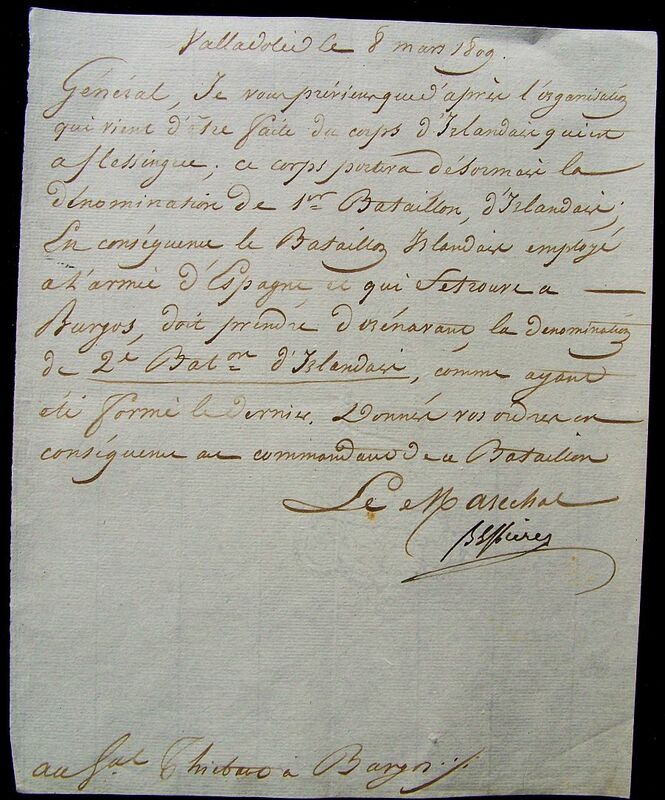 This Bulletin is dated from Prussian Eylau, Feb. 9. It mentions, that on approaching that place, the enemy were found already behind it, waiting for our army, in order to commence a new battle, for which both sides prepared. In the previous affairs which took place, three Russian regiments were completely cut off, but at the same time a battalion of the 18th regiment was thrown into disorder by a Russian column of cavalry. The dragoons of KLEIN, however, observed this affair in sufficient time to relieve our battalion; but in Eylau, where the Russians wished to maintain themselves, but which we wished to possess before the battle commenced, the fighting was most bloody; it was ten o’clock before they could be driven out of this town. They had thrown, however, some regiments into a church, where they remained, and which they were not compelled to abandon until after great slaughter. The night was passed by the armies under the bare canopy of Heaven in each other’s presence. On the following day, by the first dim ray of the morning, the Russians commenced the attack with a brisk cannonade. The EMPEROR visited the church which the Russians had defended with so much obstinacy on the day before. He made Marshal AUGEREAU’S corps advance, and the eminence upon which the church stood was cannonaded by 40 pieces of artillery belonging to his guard. The armies were now within half gun-shot of each other. The thunder of the cannon was terrible. After the firing had continued for some time, the troops became impatient of suffering so much without any thing decisive happening. Some manoeuvres commenced on both sides, in order to obtain advantages over each other, and in the mean time a thick fall of snow came on, in consequence of which the troops could not discern one another, at the distance of two paces. In this obscurity some of the corps lost their way, and the columns getting too much to the left, wandering uncertainty. This state of things lasted half an hour. When the weather cleared up, the Grand DUKE, at the head of the cavalry, supported by Marshal BESSIERES at the head of the guards, and the division of ST. HILAIRE, advanced and attacked the enemy. This bold manoeuvre in consequence of the circumstances in which our columns were placed. The enemy’s cavalry, who endeavored to oppose this manoeuvre, were completely routed. The slaughter was horrible. Two lines of Russian infantry were penetrated, and the third only maintained itself in consequence of having supported itself upon a wood. Some squadrons of the guards passed twice through the whole of the enemy’s army. This brilliant attack, had it not been for the wood, and some other difficulties of the ground, would have decided the victory. General HAUPOULT was wounded. General DAHLMANN perished gloriously in the attack. For the 100 dragoons or cuirassiers of the guard which lay dead on the field, there were found beside them 1,000 of their enemies. 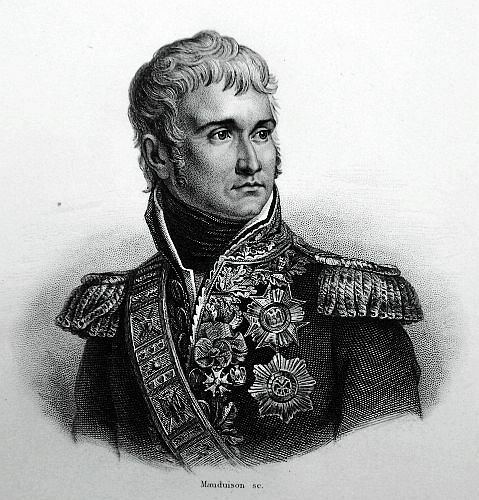 Marshal DAVOUST, who had been detached to fall upon the rear of the enemy, but whose progress was much impede by this weather, was at last enabled to execute his orders, and decided the victory. The enemy, after several vain endeavours to repulse that General, retreated, leaving their wounded and 16 pieces of cannon on the field of battle. The number of killed and wounded in the action was, on both sides, very considerable, and it could not be otherwise, when a constant fire was maintained from about 300 pieces of cannon for more than twelve hours, within a short distance of both armies. Marshal AUGEREAU is wounded. General DESJARDINS, HEUDELET, and LOCHET, are also wounded. 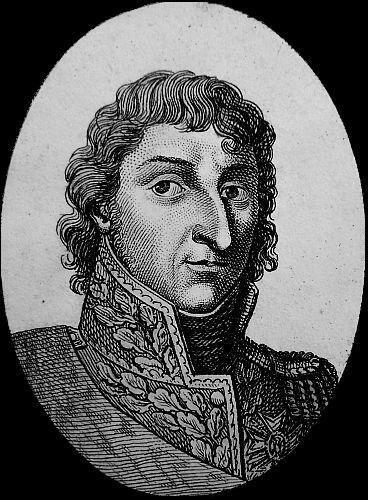 General CORBINEAU is killed, as likewise Colonels LACUE, LEMARAIS, and BOURVIERES. Our whole army loss consists of exactly 1,900 killed, and 5,700 wounded, including 1,000, who are very badly wounded. But we have to set against this loss 7,000 Russians, who have been counted dead on the field of battle. The plan of the enemy, which had for its object to extend themselves towards Thorn, and to turn our left wing, has completely miscarried, and their attempt to carry it into execution, has proved exceedingly fatal to them. It has cost them from 12 to 15,000 prisoners, as many in killed and missing, 45 pieces of artillery, and 18 standards. The eagle of one of the battalions is lost, and has probably been taken by the enemy. The EMPEROR will give that battalion another standard after it shall have taken one from the enemy. Having defeated this enterprise of the enemy, and driven them 100 miles from the Vistula, the army has returned to cantonments, and is going into winter quarters again. Captain AUZONI, of the Imperial Horse Guards, mortally wounded in the battle of Eylau, was lying upon the field of battle. His comrades came to take him up, and carry him to the hospital. He recovered his senses only to say to them, ‘Let me alone, my friends; I die contented, since we have gained the day, and that I can die upon the bead of honour, surrounded by the cannons taken from the enemy, and the wrecks of their defeat. Tell the EMPEROR that I have but one regret, which is, that in a few moments I shall be no longer able to do anything for his service, and the glory of our fine France–to her my last breath.’ The effort he made to utter these words, exhausted the little strength he had remaining. All the reports we receive, agree in stating that the enemy lost the battle of Eylau, 20 Generals, and 900 Officers killed and wounded, and upwards of 30,000 men disabled. 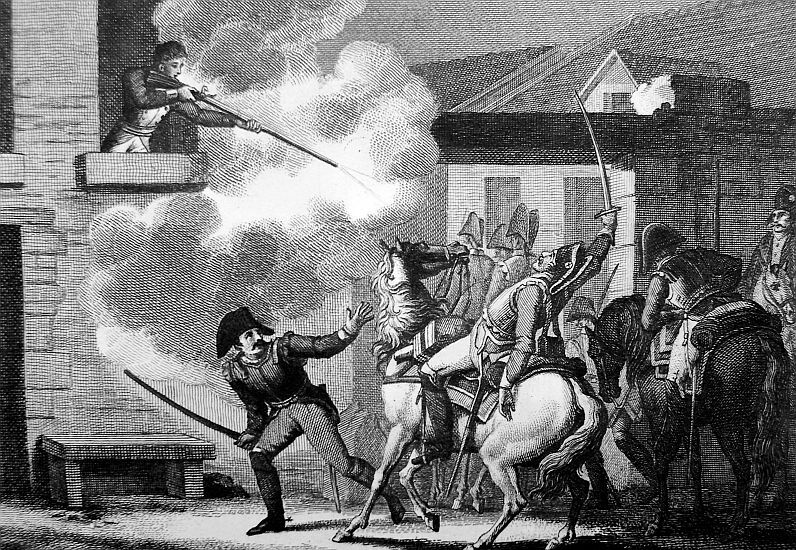 At the engagement of Ostrolenka, of the 16th, two Russian Generals were killed and three wounded. His MAJESTY has sent to Paris the sixteen stands of colours taken at the battle of Eylau. All the cannon are already sent off to thorn. His MAJESTY has ordered that these cannon shall be melted down, and made into a brazen statue of General HAUPOULT, Commander of the 2d division of Cuirassiers, in his uniform of Cuirassier. The army is concentrated in its cantonments behind the Passarge, with its left supported by Marienwerder, the Island of Nogat, and Elbing, countries which afford resources. Being informed that a Russian division had marched towards Braunsberg, at the head of our cantonments, the EMPEROR ordered it to be attacked. 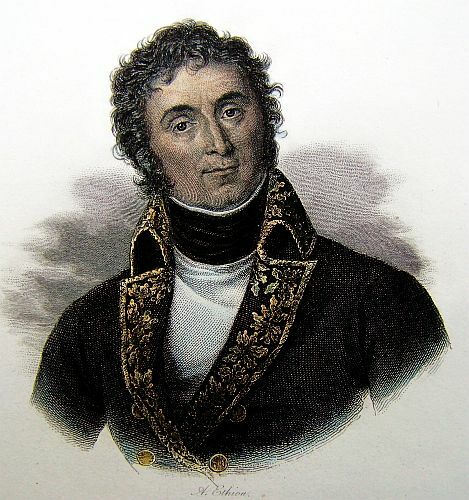 The Prince of PONTE-CORVO assigned this expedition to General DUPONT, an Officer of great merit. On the 26th, at two o’clock in the afternoon, General DUPONT presented himself before Braunsberg, attacked the enemy’s division, 10,000 strong, overthrew it with fixed bayonets, drove it from the town, and made it re-cross the Passarge, took from it 16 pieces of cannon, two stands of colours, and made 2,000 prisoners. We had very few men Killed. On the side of Gustadt, General LEGER-BELAIR repaired to the village of Peterswade, at day break on the 25th, upon receiving advice that a Russian column had arrived, during the night, at the village overthrew it, took General Baron DE KORFF, who commanded it, his staff, several Lieutenant Colonels and Officers, and 400 men. This brigade was composed of ten battalions, which had suffered so much, that they formed only 1600 men under arms. 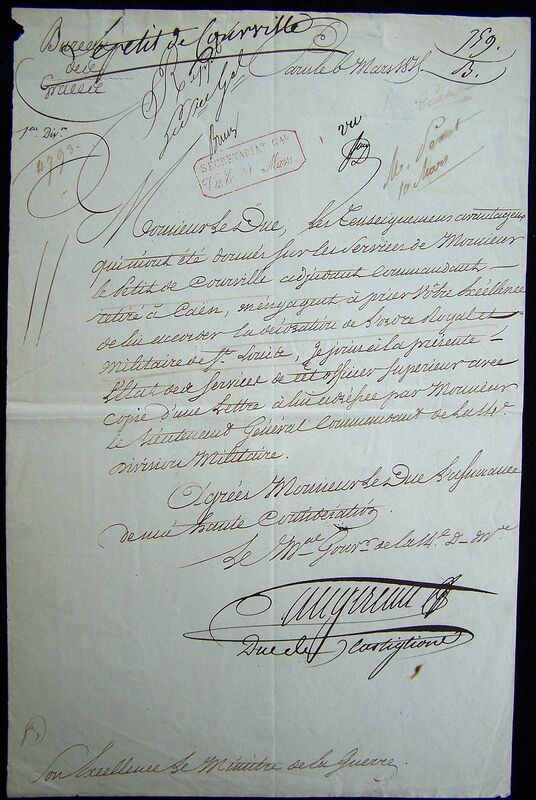 The EMPEROR, in testimony of his satisfaction to General SAVARY, for the engagement of Ostrolenka, has granted him the grand insignia of the Legion of Honour, and called him about his person. 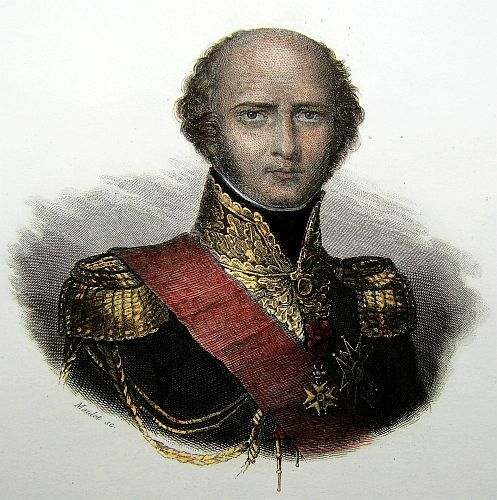 His MAJESTY has given command of the 5th corps to Marshal MASSENA, Marshal LANNES continuing to be sick. At the battle of Eylau, Marshal AUGEREAU, over run with rheumatic pains, was sick and hardly in his senses; but the cannon awakes the brave; he flew in full gallop to the head of his corps, after getting himself tied upon his horse. He was constantly exposed to the greatest of fire, and was even slightly wounded. 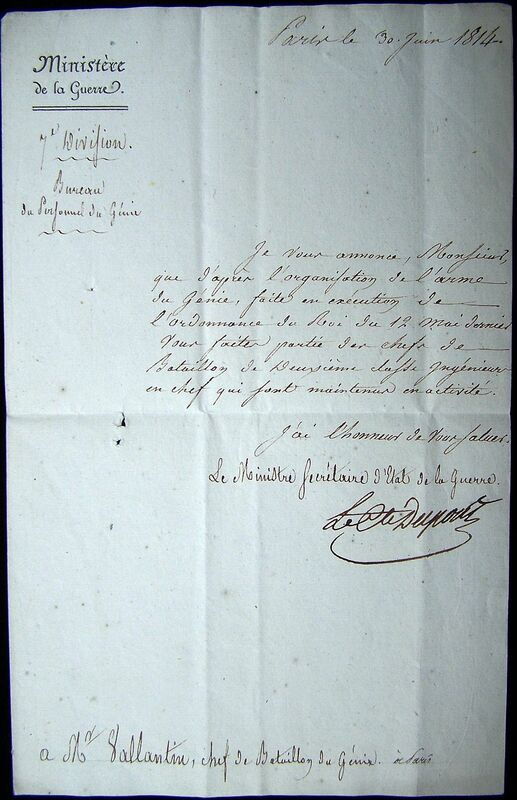 The EMPEROR has just ordered him to return to France for the purpose of taking care of his health. The Garrisons of Colberg and Dantzic, availing themselves of the little attention paid to them, had encouraged themselves by different excursions. An advanced post of the Italian division was attacked on the 16th, at Stargard, by a party of 800 men of the Garrison of Colberg. 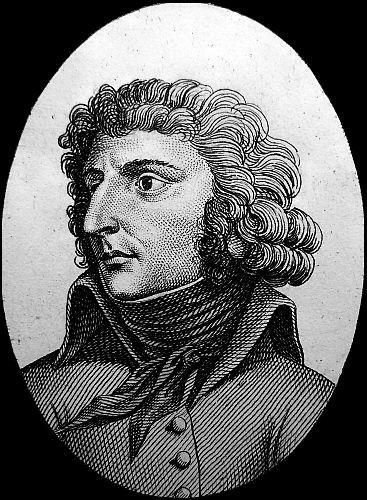 General BONSANTI had with him only a few companies of the 1st Italian regiment of the line, which took to their arms in time, marched with resolution against the enemy, and routed him. General TEULI, on the side, with the main body of the Italian Division, the regiment of Musketeers of the Guards, and the first company of Gendarmes on duty, repaired to invest Colberg. On arriving at Naugarten, he found the enemy intrenched, occupying a fort beset with pieces of cannon. Colonel BOYER, of the Musketeers of the Guards, gave an assault. 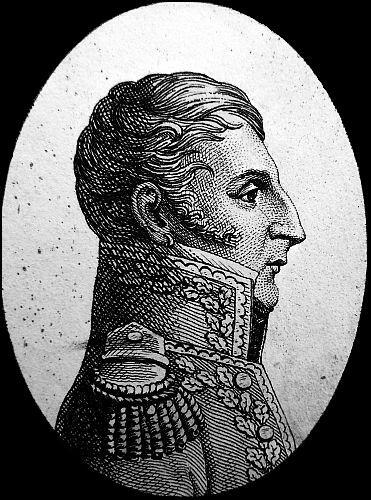 Captain MONTMORENCY, of the Company of Gendarmes, made a successful charge. The fort was taken, 300 men made prisoners, and six pieces of cannon carried off. The enemy left one hundred men upon the field of battle. 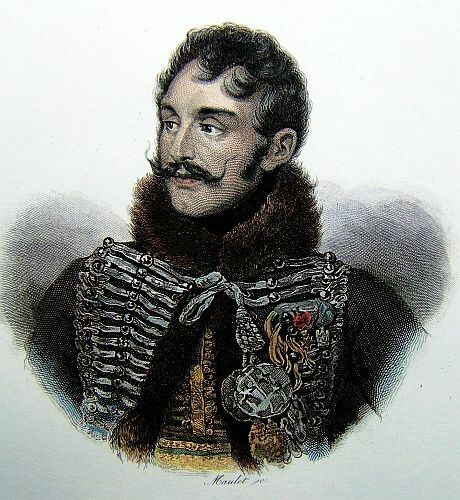 General DOMBROWSKI marched against the garrison of Dantzic; he fell in with it at Dirschau, overthrew it, took 6,000 prisoners, took 7 pieces of artillery and pursued it for several leagues. Marshal LEFEBVRE arrived in the mean time at the head of the 10th corps; he had been joined by the Saxons, and marched to invest Dantzic. The weather is still changeable. It froze yesterday; it thaws today. The whole winter has passed over in this manner. The thermometer has never been lower than five degrees.